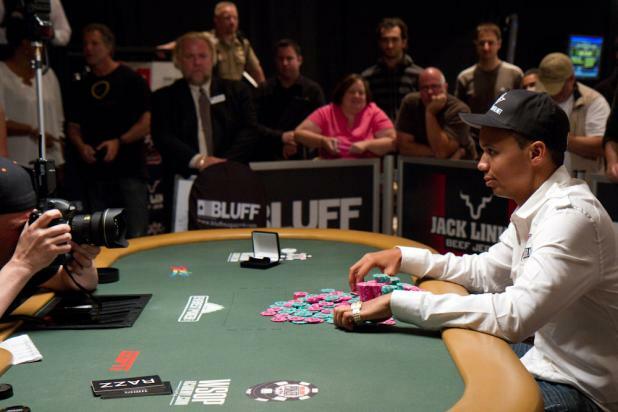 Back in 2005, when Phil Ivey won his fifth WSOP bracelet, he was asked how many bracelets he could win in a full career. 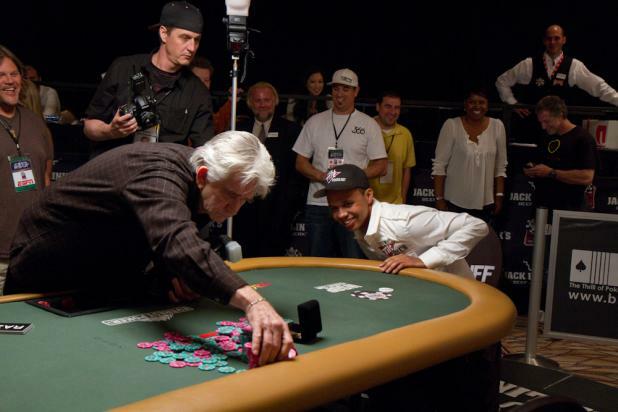 Ivey said "I think I can win 30," a number which seemed unrealistic at the time. 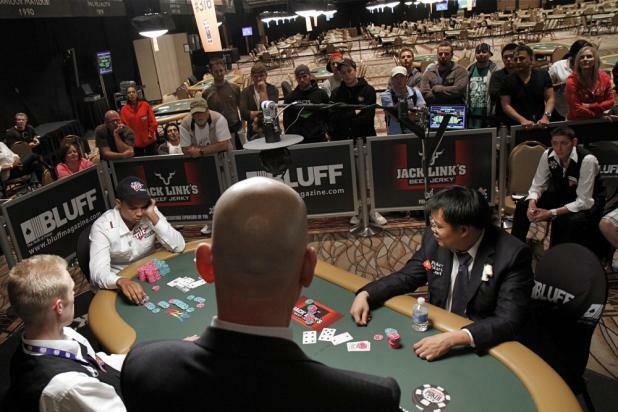 After winning his eighth WSOP bracelet in Event #37 ($3,000 H.O.R.S.E. ), Ivey repeated the same prediction, only this time the media had fewer doubts that he could do it. Only four players in history have won more bracelets than Ivey, and he's still only 33 years old. Erik Seidel, who also has won eight bracelets in his career, sent this message on Twitter: "Congrats to Phil Ivey, The Magic Man on #8. He continues to leave no doubt who the best player in the world is. Truly amazing!" He then added a short-but-sweet line that seemed to be a dig at Phil Hellmuth, who has the most WSOP bracelets with 11. Seidel's follow-up tweet read: "8 is the new 11." 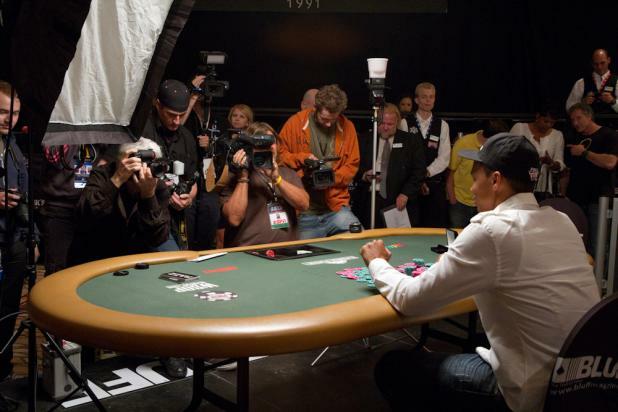 Even at 4:30 am, there was plenty of media present to document Phil Ivey's victory in Event #37 ($3,000 H.O.R.S.E.). Phil Ivey poses with the bracelet for the official WSOP victory photo after winning Event #37 ($3,000 H.O.R.S.E.). 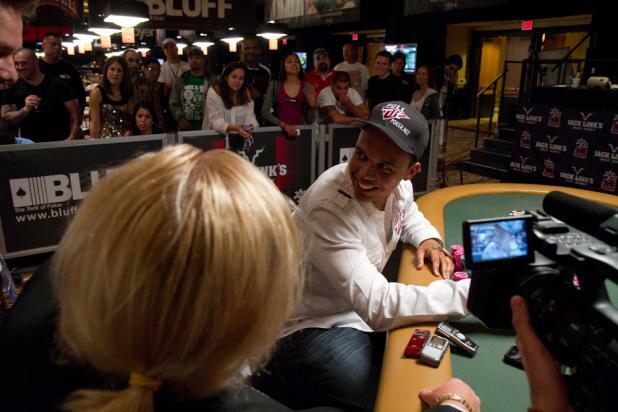 Phil Ivey is sometimes known for being stoic and above the fray, but he can't seem to contain his excitement after winning the eighth WSOP bracelet of his career in Event #37 ($3,000 H.O.R.S.E.). Veteran WSOP photographer Joe "Flipchip" Smith (leaning across the table) prepares the chips and the bracelet for the Ivey's victory photos. There were only three outs in the deck for Bill Chen (right) to chop the pot and stay alive, but no miracle trey showed up to save him. 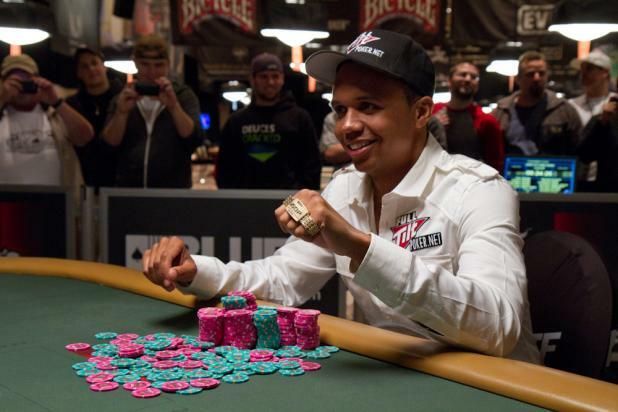 Phil Ivey, on the other hand, caught a four on seventh street to win the final hand -- and his eighth WSOP bracelet -- with a perfect wheel. Chen immediately congratulated Ivey on the victory. Bill Chen is all in on fifth street, playing razz in Event #37 ($3,000 H.O.R.S.E.). 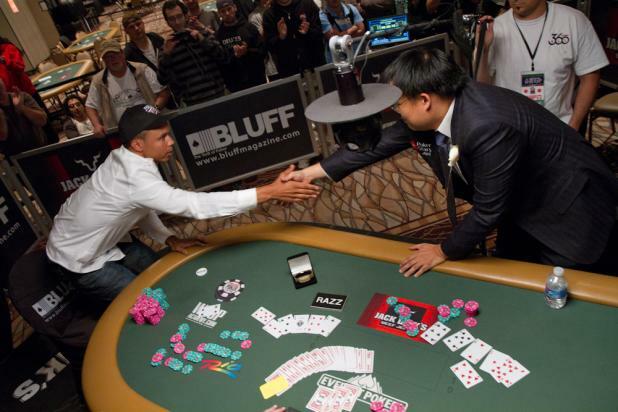 Chen turns over a 7-6 low, but sees the worst cooler of his poker career when Phil Ivey turns over a 6-5 low. Heads-up in Event #37 ($3,000 H.O.R.S.E.) and playing razz, Bill Chen (right) gets all his chips in on fifth street and turns over a 7-6 low. 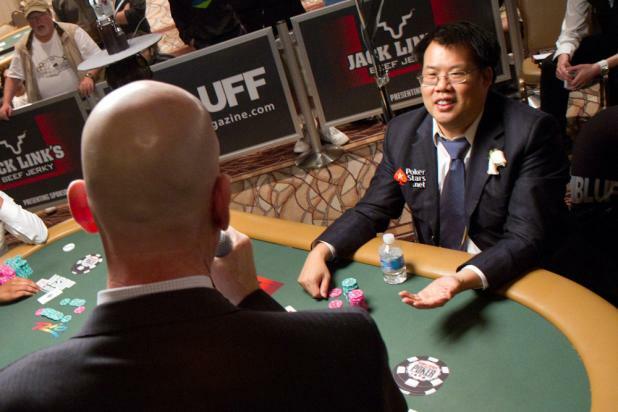 Even with Phil Ivey showing a 6-2-A, Chen fully expects to be out in front with an excellent chance of doubling his stack and getting back into contention for the bracelet. 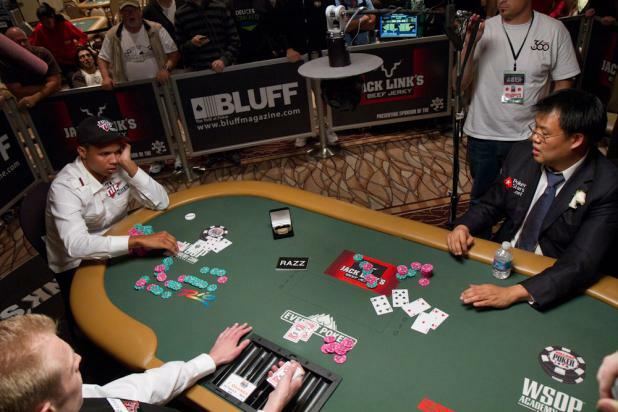 With Phil Ivey (left) showing a 6-2-A to Bill Chen's 7-6-2 on fifth street in razz, there is heavy betting back and forth in Event #37 ($3,000 H.O.R.S.E.). TD Bob Smith (foreground) announces each reraise to the crowd of fans and media. 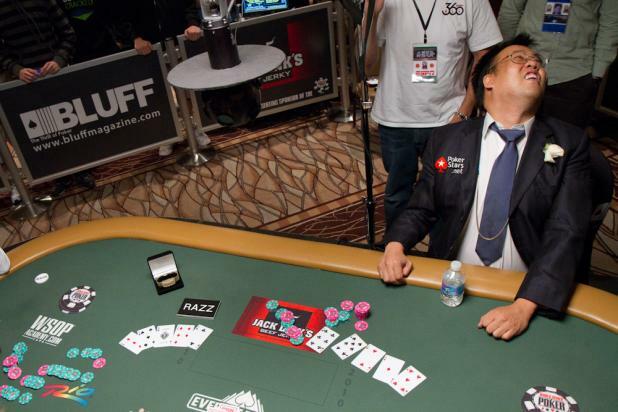 With Bill Chen showing a deuce to Phil Ivey's ace in razz, there was a raise and a reraise on third street. Chen paused a moment to clarify something with TD Bob Smith. "How many raises are allowed?" Smith replied that there was no limit when there were two players heads up. Chen reraised again, and Ivey called, taking them to fourth street.